Stressed up with the work pressure, a busy schedule, family responsibilities and like, sometimes gives us a tough time. Worst when its vacations we find yourself doing the same kind of the things, managing all essentialites, attending this thing and that thing. We don't recommend you to escape all this but you sure need a break and there is no ideal way of doing it other than go for a peaceful destination and meditate for sometime. The precursor to every form of martial arts and exercise system, Yoga has a history that dates back many centuries. While historians and researchers differ as to when and how Yoga was initiated in people's lives, it is an undisputed fact that it has been alive and practiced for a long time. Whether it originated in Vedic times dating back to 2000 BC, as claimed by some or in 200 BC with Patanjali's Yoga Sutra, Yoga incorporates a disciplined method of aligning our physical postures to align our minds to achieve an enlightened form of thinking. The word Yoga originated in Sanskrit and is derived from the word, Yuj, meaning "to harness." 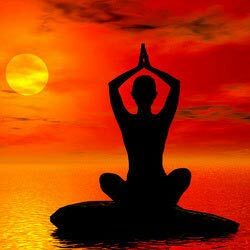 Yoga is the process of uniting ourselves in order to express the energy of our true nature. Most people, especially from the West, tend to consider Yoga as a form of exercise. While they are not wrong, it is also a fact that this perception of Yoga is superficial. Another mistaken notion is that Yoga requires one to contort his body to contorted and uncomfortable postures. These postures are a culmination of stretching Yoga to its extremity. For those who are disciplined, regular and experienced practitioners, these extreme forms do not require the type and extent of effort that they portray. Philosophical thinking in India has long been concerned with the root crisis of the human spirit - the separation from the central consciousness and the only reality (Atman or Brahman). It is because of this separation, which begins with the ignorance of our birth, that we suffer the traumas of physical, emotional and psychological conflicts. As an unfortunate consequence of this disconnection and the loss of that awareness, we erroneously look externally for our happiness. The material and sensory pleasures of life, the approval and value judgments of others, the more is better philosophy, anything to allow us to forget that the cause of all our suffering lies within. Yoga calls our attention back to this and aims to reunite us with the innermost centre of our being. The fascinating concept of Yoga involves Yamas, which teaches us to avoid worldy temptations, the Niyamas that tell us how we should control our inner self, Asanas and Pranayama that aligns our body and control our breadth. Pratyahara helps us to turn our minds inward, Dharana holds the mind on a single point to the exclusion of all other existence, Dhyana brings about a fusion between us and the object of our meditation and finally, we arrive at Samadhi, an indistinguishable part of the universal consciousness. Yoga is now being utilized in modern society in many ways. However, these applications tend to be superficial. To obtain a more comprehensive view of yoga and its potential utility within society, we need to go much deeper. Rishikesh, situated in the Garwhal region of North India is called the yoga capital of the world and there are many ashrams in Rishikesh offering courses on meditation, yoga and Hindu philosophy. 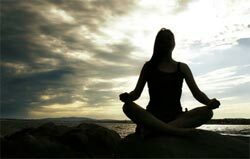 The Hatha Yoga and Pranayama meditation classes at Sri Ved Niketan Ashram are well known. The Shivananda Ashram is located opposite the Shivananda Jhula and is flocked by tourists. It is also possible to stay in the ashram by intimating the authorities a month earlier.